If you have taken the time to open this page it means you are interested in learning more about how to Improve Retail Management & Retail Marketing in 10 Minutes. At the completion of this article you should have a better understanding of retail marketing and at the same time be better able to manage your retail outlets. While most would agree that promotion is a fundamental tool in securing the success of their business, often retailers are unsure of just where to channel their retail marketing spend and how to measure the effectiveness of this investment. Managing Director of Auckland public relations agency Impact PR, Fleur Revell, says retailers need to be strategic with promotional activity and be clear on how they are going to achieve the objectives set – whether it is raising brand awareness, building sales or developing customer loyalty. “Retailers should promote their business to the point where the additional benefit gained is outweighed by the cost,” says Revell. In essence, what she’s saying is that brand awareness and sales should be of more value that the original investment you’ve outlaid. So where to start? Retail marketing promotional activity is usually designed to boost the sales of a product or service and can involve advertising, PR activity, direct mail, flyers, e-newsletters, in-store promotions or a combination of the above. Revell says before embarking on a retail marketing spend, there are two key questions retailers need to ask themselves; ‘who is my target market and, where do I find them? Revell says it is essential staff play an active role in in-store promotion, ensuring that customers feel their patronage is valued and appreciated. “The more your staff learns about your customer and their habits the more they can offer them in terms of additional product (up selling) and services which will help the business ongoing,” says Revell. “This research at the coal face is essential to providing timely customer insights that macro overviews will miss – the key is ensuring the lines of communication between staff and business owners are continually open. While public relations activity is not a new tool in the promotional armoury, it continues to be one that is not entirely understood by retailers. One of the key benefits that Public Relations offers a retailer is third party endorsement of the brand or a product you are selling. It can also give smaller businesses a leg up and the opportunity to compete with bigger players/competitors who have large scale advertising budgets. A new product, something quirky or an innovative idea, provides the ideal platform to secure public relations coverage for your business and may give you the edge over competitors. Some products or services are particularly well suited to Public Relations and lend themselves easily to this type of promotional activity, Revell says. “Anything that is luxurious, tasty, new, unique and/or generally appeals to females aged 20-30 is going be easier to get media coverage for,” she says. “The reason for this is that there is a plethora of consumer media, magazines in particular, and the journalists and readers of these titles are mostly female aged 20-30. “If your store or product doesn’t have these brand characteristics then your PR consultants can come up with a strategy that presents your product or service in the best possible way to secure editorial coverage. “We recently did some work promoting a toy created by a father of three. He initially created this toy to get his kids off the couch and away from the computer! Our brief was to let parents know they could now buy this product from toy stores for Christmas and of course generate brand awareness and sales. Our public relations strategy involved publicizing the unique story behind this product’s development to secure mainstream editorial coverage. We immediately secured a television story along with numerous product placement opportunities in magazines,” she says. The retailer had no idea that we had generated the publicity for this particular product but it goes to show the incredible power of third party endorsement of a product or brand and the immediately credibility it affords it, she says. Revell believes that smaller businesses under-utilise PR when looking at their marketing mix as they are not exactly sure how to use it, measure it or what results they can expect. There is also a misconception that the price will be high. Admittedly, many retailers who aren’t fully equipped and strategically minded in their promotional planning will make mistakes which will impact them in both short and long term. It also makes little sense to have invested a sum of money into an advertising or public relations campaign only to have the coverage appear when you are unable to reap the sales rewards. The most challenging part of public relations is to turn a commercial story into a branded general news one, she says. “But when it is achieved effectively however, the return on investment (measured in terms of media coverage) can be phenomenal. To achieve the same exposure with an advertising budget would be cost prohibitive,” says Revell. Revell also has a word of caution regarding stunts and events – the media coverage from both can be unpredictable, even negative, particularly with media stunts. Many retailers make the mistake of assuming an event is the right tactic to employ when communicating with customers and to ensure their loyalty at the counter. Revell says this is not the most effective way to talk to your customers – nor does it attract new ones. “With events we generally suggest to clients that they have a really strong objective for having an event as the outlay is not often worth the small number of social page photos they may generate. This spend could be better directed at a strategic campaign spread out over a period of time so you are continually communicating with your customers to build ‘brand saliency’ (top of mind awareness) and often at the same time, attracting others,” she says. Doing it yourself! Revell says while it’s in her vested interest to sell the benefits of retail marketing and PR she does so having walked in a retailers shoes. Fleur and her husband previously owned their own health food company which also had a retail and online store and know how far the marketing dollar has to stretch in a small business. “I do understand the temptation for retailers to have a go at promoting themselves. In essence it can look simple, just simply package something attractively and send to media. But this is a real hit and miss strategy and we have had countless small businesses approach us after attempting this tactic and failing.” Unfortunately, says Revell, you often get only one chance to approach the media with a new product or service – after that it is old news! “So why pay a PR practitioner? You are paying for our relationships in essence. The ability we have to pick up the phone and talk directly to the journalist you want to write about your product or service. You are paying for the skills we have in making something that’s old news, new news or communicating the exciting story behind the product that will give you more column inches! “On occasion we’ve also had retailers who have handled their own PR / retail marketing and got one story only to find that they are unable to get any more. It is then they turn to us,” says Revell. In addition the order in which media are approached is important – media are competitive and will want an exclusive on a good story before it has been anywhere else – the key is starting with the media (usually the highest reach or the most credible) you most want to be in and working down from there. Budgets for PR can start for less than the cost of a full page advert in a glossy magazine but the total coverage received can be much higher. Obviously the more money invested in the PR budget the greater the time dedicated to pitching to media and organizing coverage. As a former retailer herself Revell says it’s important to make sure that you do not waste your time trying to market your business when the time could be better spent making sales. It simply becomes a false economy, she says. Revell says in order to get the best from your PR investment make sure you keep your agency updated of any new product lines, industry trends or news you may have – the more they have to work with the better your results. For more information on retail management/retail marketing and case studies showing public relations for retailers contact Fleur Revell at Impact PR . With three Qantas Media Awards in her name including Feature Writer of the Year, Fleur has an excellent current working knowledge of the New Zealand media, in particular across consumer and news mediums. Fleur has worked in media for 20+ years, with former roles including editor of top selling weekly magazine New Idea, senior reporter at the Sunday Star-Times, freelance features writer for The New Zealand Herald and TVNZ ONE News reporter and producer. Along with her journalistic achievements Fleur has also enjoyed success as a television presenter at both the TV3 and TVNZ networks. 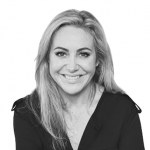 Fleur now specialises in writing strategy and implementing communications plans for clients in the FMCG, retail, beauty, health, fashion, tourism, IT and corporate sectors.